Guarantee Best replacement for the original LENOVO 3000 N100 Series battery pack. 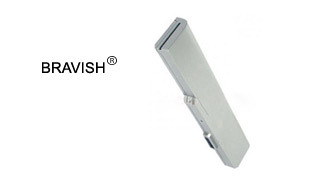 100% Quality and 100% compatible Assurance of our LENOVO 3000 N100 Series battery equivalent and laptop adapters. LENOVO 3000 N100 Series battery special offer in USA, save money up to 30%. High quality cells: Panasonic,LG,Samsung Come with a full manufacturer's warranty. Products We specialize in rechargeable Replacement Lenovo 3000 N100 Battery and Lenovo 3000 N100 charger. All of our Laptop Battery and multi chargers achieve international standards such as CE, UL Listed, and/or ISO9001/9002 certification. We 100% secure guaranteed, brand new, 1 year warranty, 30 days money back, fast shipping. This Lenovo 3000 N100 battery is specifically designed for Lenovo 3000 N100 laptops. We offer a complete line of replacement Lenovo/IBM batteries and power adapters for almost all laptop models like Thinkpad,Ideapad... All of our replacement Lenovo 3000 N100 battery are made with high quality safe cells and are guaranteed to meet or even exceed the original manufacturers specifications.